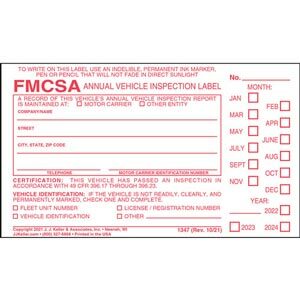 Choose from English (6" x 3-1/2") or Bilingual English/Spanish (6" x 4") labels. 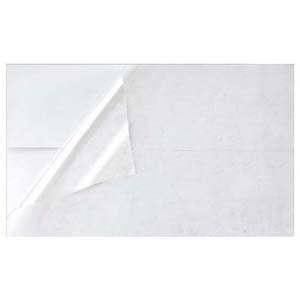 This 2-ply label measures 5" x 4". Snap-out format, 8-1/2" x 11-3/4"
Includes 3-ply form plus vinyl label w/ mylar laminate. 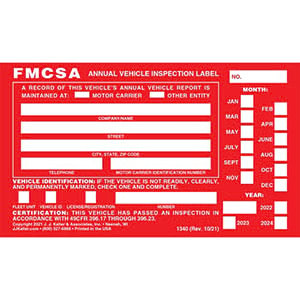 This 6" x 3-1/2" label features permanent adhesive backing. 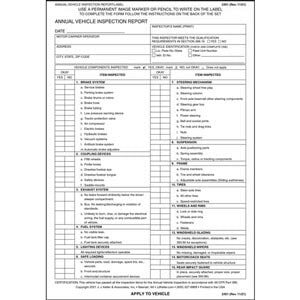 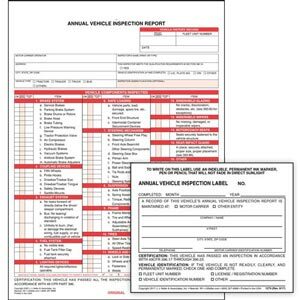 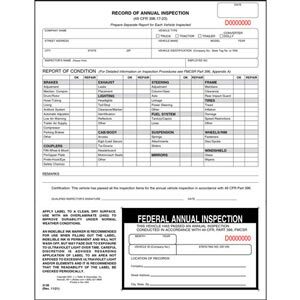 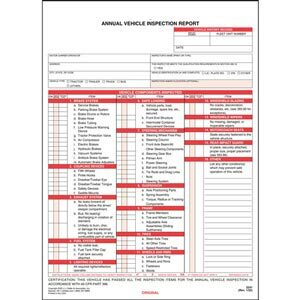 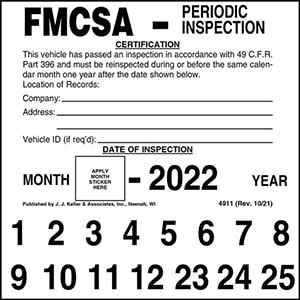 Complies with 49 CFR Part 396 Annual Vehicle Inspection requirements. 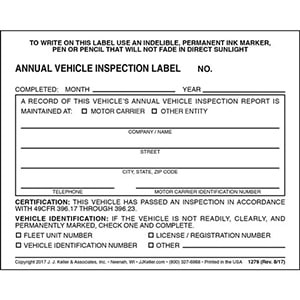 Handy label/sticker can be easily attached to equipment to show compliance with inspection requirements. 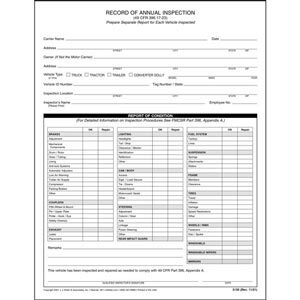 Must-have forms reflect DOT's recordkeeping criteria.